At the “Hakuundai“ which was established about 40 years ago in Tsuruhashi, Osaka, it`s for sure that you can be satisfied with all of the homemade dishes including the Korean court dish. Additionally, the main meats are well selected Japanese Black Saga beef and Sendai beef and we also use fresh internal organs which are selected carefully on the day for innards dishes. In 1975, we opened as an internal organs barbeque restaurant in Tsuruhashi. At first, we baked them by charcoal and got the internal organs in the evening what was treated in the morning, and serve them to the customers with remaining fresh condition thoroughly. And about the meat, we did not care the brand of the beef purposely, and just went to meat shop and chose something for which had the best freshness on the day. Terada-cho store was opened in 1985. In 90`s, we were introduced by a television and media for 8 times in a year. Especially, NHK broadcasted the same program about us for 3 times as rebroadcast We opened a store in the Grand front Osaka where is in the biggest downtown area of Osaka and it has direct connection to the Osaka station in 2013. When we opened, it`s the only store which was not a chain store in this commercial establishment. We are a well-known store which had been nominated from nationwide 50 stores and selected as a result of the severe masked investigation. 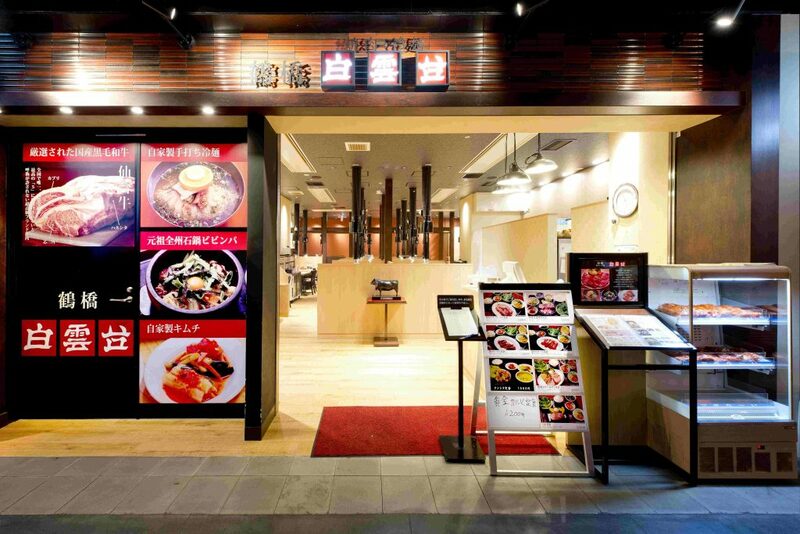 Since we opened the store in the Grand front Osaka, we have used Sendai beef as main. You can call Kobe beef, Matsusaka beef and all other beef with the grade of A4 and B4, but only for Sendai beef, you can call them by grade A5 and B5 in Japan. This is very rare beef. Furthermore, we use only the beef more than marbling 10 within 1-12. We are really strict about this. Please enjoy by all means.